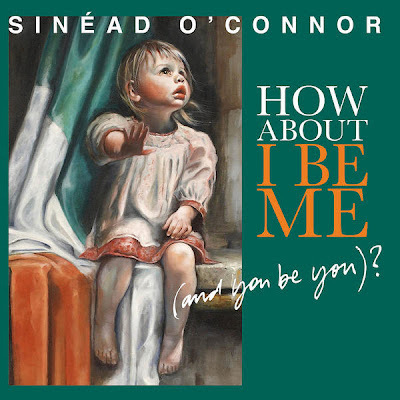 "How About I Be Me and You Be You"
The album’s title – a re-writing of the traditional marriage vows - and its content deals directly with O’Connor’s brushes with matrimony – her recent wedding to Barry Herridge lasted only 17 days – and the institution itself. As far as wedding albums go, there is little romantic merit in O’Connor’s words, as to be expected, but rather she challenges the suitor to forget the fairytale (and the Catholic church) idea of marriage. On the first single The Wolf Is Getting Married, Sinead owns the public’s image of her as an unstable - even lamentable - woman of contradictions. Firstly, she decides marriage will bring her unending happiness and keep away the ‘wolves’ – an animal, in literary terms, sometimes associated with depressive syndromes. The question that the song raises however, is how serious is she? At any given moment the listener could expect to be slapped in the face with a renouncement of all this new-found comfort. The track 4th and Vine further reinforces O’Connor’s belief that matrimony holds the key to her satisfaction, and is nothing short of a re-telling of The Dixie Cups’ saccharine 1964 hit, Chapel Of Love, yet considering the singer’s recent past, a sarcastic subtext can’t be ignored. The album takes a sudden and more familiar turn on Take Off Your Shoes, where Sinead is all ‘blood of Jesus’ and ‘hallowed ground’, while V.I.P. is good old fashioned theology in verse. Musically, her later releases veered into reggae which is reprised here. The mostly mid-tempo pace and acoustic instrumentation allows the narrative to take the lead, keeping with Sinead’s folk singer styling and the tradition of reggae’s ‘songs of rebellion’. The album overall is a fantastic observation and summary of O’Connor’s often difficult to relate to personal life and favourite subject matter. She offers an even sharper perspective than on many former revelatory releases, and is still one of the most brutally honest song-writers around - “I was always crazy”; she growls on If I Had A Baby. O’Connor is at her best when she flaunts what most of us would be happy to deny. How About I Be Me And You Be You is a purposeful blurring of the singer’s wishful thinking and the stark reality of her inability to settle down and play house. Perhaps she feels such a compromise would be mean disconnecting from her muse, and so within the safety of music, she has dared to go where she just can’t seem to in life. "The Wolf Is Getting Married" official video.